Thank you to all of those students, volunteers, officers, and business representatives who attended the annual Sheldon ISD Education Foundation Vendors Luncheon Thursday in the C. E. King High School Annex Cafeteria. Attendees were delighted to see KHS students running the event. The KHS Jazz Band entertained the crowd, student council representatives waited on the tables and served drinks, and the Air Force JROTC cadets performed the colors at the beginning of the venue. 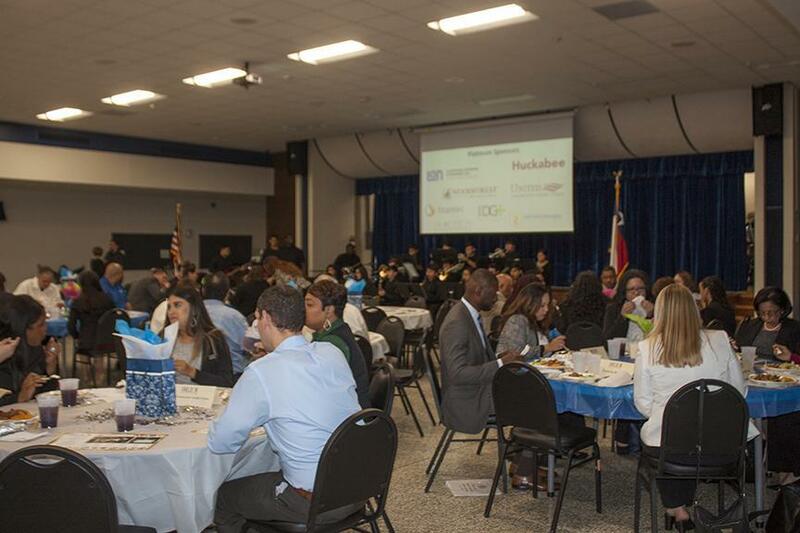 Thank you so much to our Platinum Sponsors: Durotech, Inc.; Gulf Coast Educators Federal Credit Union; Huckabee; IDG Architects; Lockwood, Andrews and Newnam, Inc.; Stantec; United Community Credit Union; and Woodforest Bank. The purpose of the event was to showcase current and upcoming event happenings throughout the district as well as to help provide annual scholarships to KHS seniors and grants for teachers throughout Sheldon ISD.